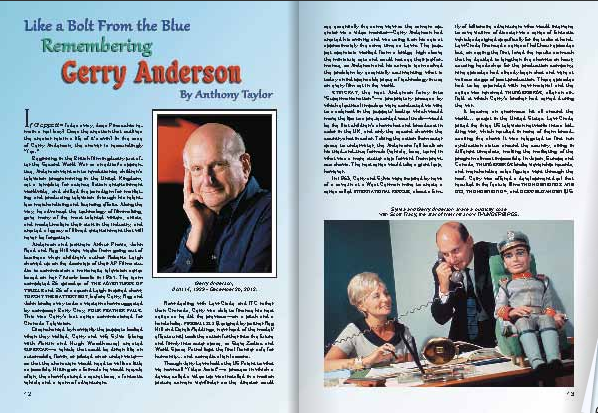 I’ve got two Gerry Anderson tributes hitting bookstores this week! 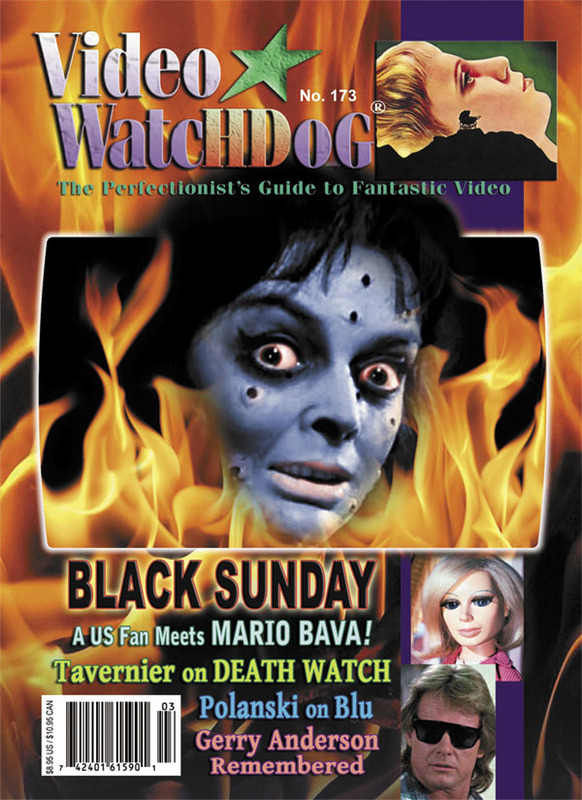 The first is in Video WatcHDog #173, above. I’m really happy to finally have an article published in editor Tim Lucas’s venerable film digest. VW is a magazine for serious film lovers, and the content is a great mix of criticism, meticulously researched articles and in-depth interviews. It’s available in Barnes & Noble and finer bookstores everywhere, or click the photo above to order it direct online. 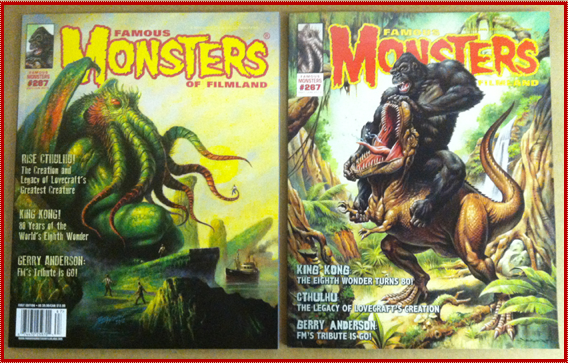 The second tribute is a special section in Famous Monsters of Filmland Magazine #267 remembering Gerry. I’m very happy to be back in the pages of the ORIGINAL monster magazine with such a large chunk of real estate devoted to Anderson and his works. Many thanks to editor Ed Blair for responding so favorably to my pitch for coverage when Gerry passed away. Ed’s a SuperM fan himself and was just about to start beating the bushes looking for someone to write this when I came knocking. I wound up writing four articles and August Ragone contributed one as well. Shown above are the Newsstand and Subscription/Direct Market covers. It should be available now in most bookstores including Books-A-Million, or you can order direct by clicking the photo above. Hope you enjoy them – let me know if you do!